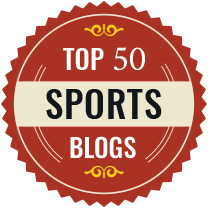 It takes a lot to get noticed by a professional football club, let alone being invited to teach a few tricks to some of the best players in the world by one of the biggest club in the world. 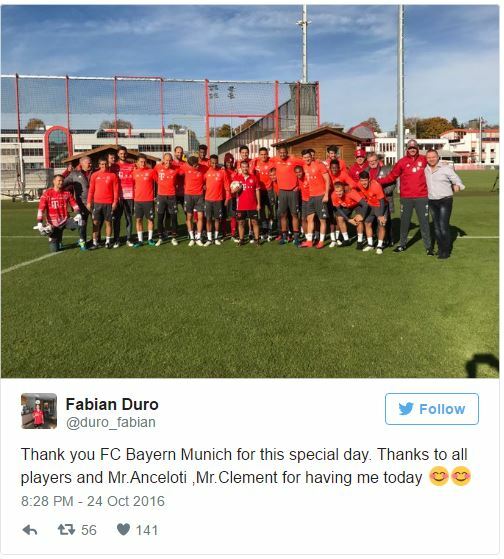 Fabian Duro, just had his dream moment after he was spotted by Bayern Munich’s assistant manager Paul Clement. 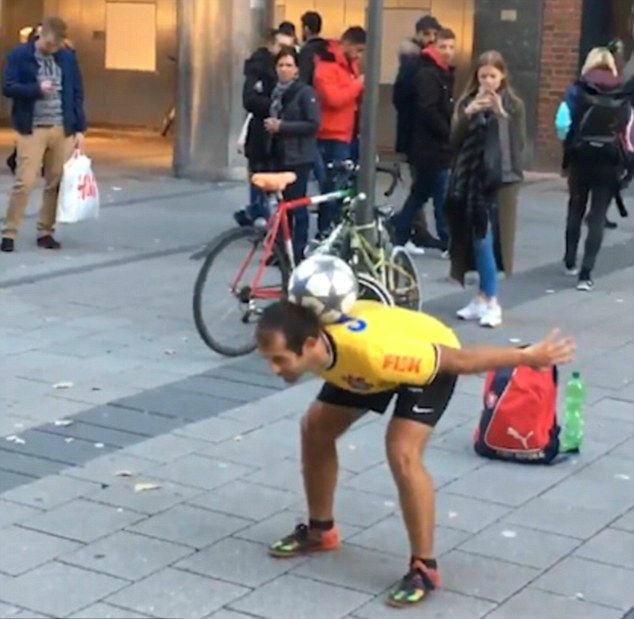 Clement was very impressed by the Albanian after spotting him doing some phenomenal tricks on the streets of Munich. 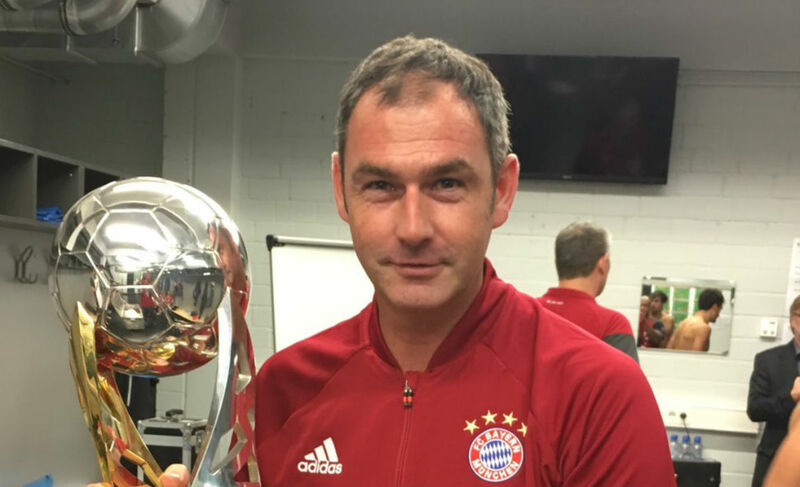 The Englishmen posted a video of Duro on Twitter but that is not all, Clement also invited the Albanian to Bayern’s Sabener Street training complex – where he showcased his skills infront of the senior team. Duro must have had a cold feet, and understandably so, with his audience consisting the likes of World Cup, Champions League and Bundesliga winners. However, Fabian Duro showed no signs of nervousness as he went ahead and put on a great show for Bayern Munich’s senior team, which by the way was in awe of his skills. One moment Duro was doing skills while spinning his head around, and on the other he was doing keep-ups just using his foot-sole and head while lying down – which earned him an applause from the Bayern Munich players. 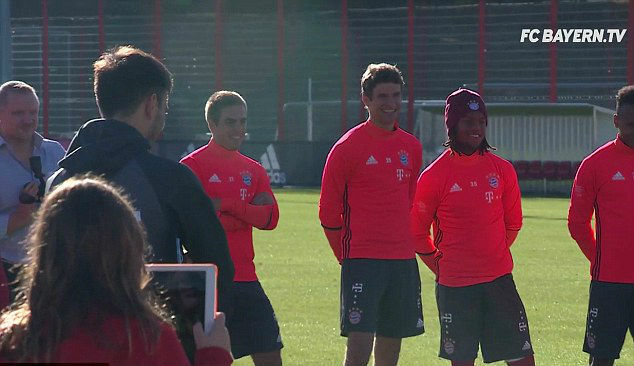 Fabian also posted a picture on his Twitter page with the Bayern squad, thanking them for the opportunity. Clement had posted this video on his Twitter account earlier.